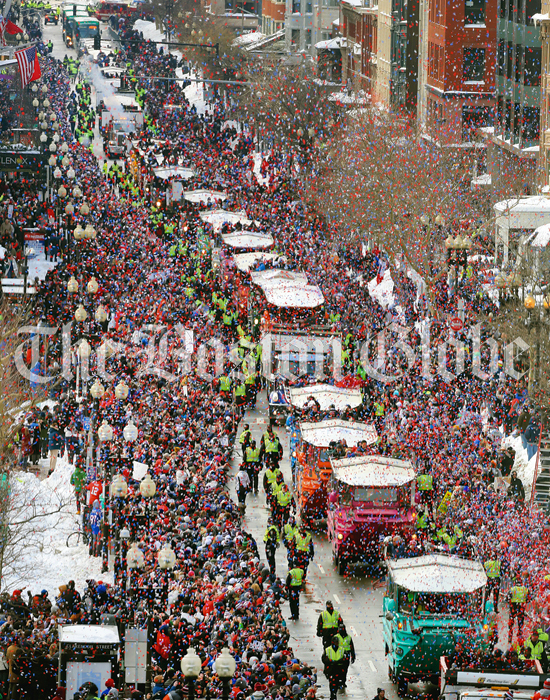 In addition to our Super Bowl page reproductions, we are now offering page reproductions and photographs from the Patriots Victory Parade. Click here, to visit our store to browse through the new products! 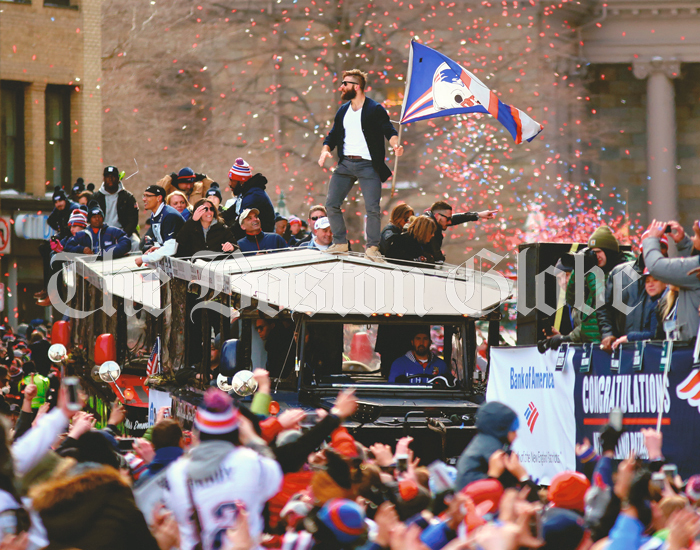 The photographs, captured by the Globe's Staff Photographers, feature scenes from the parade with players such as Tom Brady, Julian Edelman, Rob Gronkowski, and Malcolm Butler. 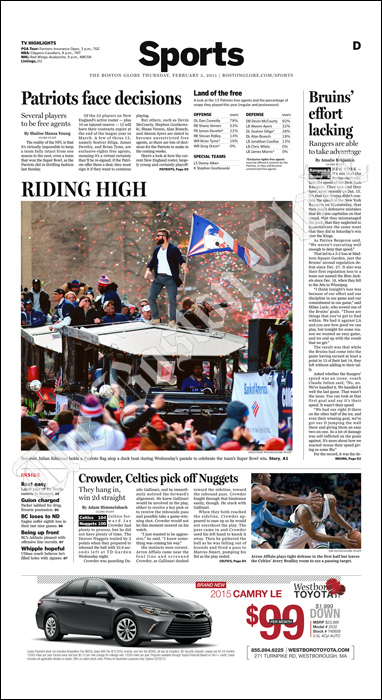 For pages, we are offering reproductions of the front page and sports section cover of the Globe from February 5, 2015.